It is already old news but it is major news. Karen Atala, the Chilean judge who had lost custody of her three daughters because of her sexual orientation – and had appealed the Chilean Supreme Court to no avail- has finally prevailed with the Inter-American Commission on Human Rights. The Chilean justice system had deprived Karen Atala from her parental rights on the grounds she was a lesbian, hence her children could turn homosexual; a variant of the “best interest of the child stuff.” On March 21 of this year, the Inter-American Commission on Human Rights acknowledged that Atala was discriminated against, and that the damage caused by the Chilean justice was beyond repair. The Chilean government is required to pay Atala $50,000 in addition to $12,000 for legal expenses. Simon Romero (the New York Times) talks of a landmark gay rights’ victory. Certainly, but I would also think of the outcome of Karen Atala’s versus Chile as potentially having critical implications for fathers rights. In most US States, fathers have second-class parental rights, on the grounds that women have a predisposition for parenting that men don’t have; in short, since “men hunt and women nest,” to plagiarize Seinfeld, women get full custody of the children. Fathers’ relations with their children are further damaged by lengthy divorce and child abuse trials. As fathers try not to be expelled from the lives of their children, family courts opposed the fait accompli of their severed relations with their children, which proceeds from these custody battles. That’s the ultimate trick that Jaime López, Atala’s ex-husband, tried to pull on her. According to López, the Inter-American Commission on Human Rights did not care about what his daughters think; his daughters don’t see themselves as victims. They are part of a happy heterosexual family. Too bad that their mother have not seen them for years. Fortunately, the Inter-American Commission on Human Rights did not make the mistake that US family courts consistently make, that is to give credence to “the best interest” of the alienated child, who inevitably sides with the alienating parent. Atala’s case may help the US family court system protect better gay parents rights. Let’s hope it also help US family courts to figure out that fathers- gay or not- ought to have the same parental rights women have. Will Divorced and Non-Married Minnesotan Fathers Get Their Rights Back? The State of Minnesota is about to have fathers rights make a major step forward with the passing of HF 322, Children’s Equal and Shared Parenting Act. The bill will adopt the presumption of shared and equal parenting time, unless agreed otherwise by parents. Provisions of the law will be extended to unmarried parents. Oh My! Where did the impetus that shook the status quo come from? Interestingly enough, from three women – Phyllis Stageberg, retired teacher, Reverend Mary Hovland and the founder of the Center for parental Responsibility Molly Olson, who campaigned to give equal parenting rights to fathers. Olson documented that children without absent fathers do not fare well, undermining the “best interest of the child monstrosity” predicament which still founds most state family laws. If the law passes in the house, it will obviously entail a revision of child support laws. If parents share custody, there is indeed no reason for divorced mothers to automatically receive a certain percentage of their ex’s income as child support, irrespective of theirs. That’s where further resistance to the new law will come: from noble politicians championing mothers’ loss of the divorced rent. Unlike in Canada, Australia, England, Germany, Israel or Spain, the debate on fathers rights in the US is in a state of complete torpor. Let’ s hope that the Minnesotan Children’s Equal and Shared Parenting Act change that. Mexico has a kidnapping problem. I am not talking about the “internal” Mexican kidnapping problem, which the Calderón administration has failed to keep at bay on all account. Making a scapegoat of Florence Cassez has just been a way to hide its failure from the Mexican public. I am talking here of Mexico’s “external” kidnapping problem, the kidnapping of Mexican children by the US family court system: children whose parents are undocumented workers sent back to their country, and are given for adoption to US families on the grounds it is in their best interest. First Alfonso Mejia and Margarita Almaraz, Encarnacíon Bail Romero and Cirila Balthazar Cruz. Enters Felipe Montes. 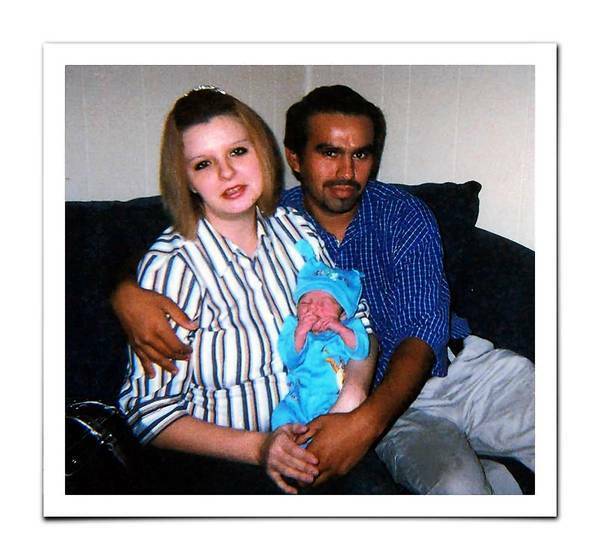 Felipe Montes comes to the US illegally in 2003, starts working in North Carolina and gets married to Marie with whom he has three children. Unfortunately he gets deported and his wife is declared unfit to raise the children. They are placed with foster parents, who wish to adopt the children. From that point on, Felipe Montes has to play Sparta family court (Allegheny County, North Carolina)’s lose-lose game, that is demonstrating he is worth the children. Although he has no criminal record and has taken care of the children, social workers did wonder if sending the children to Mexico was in their best interest. Felipe is living in a rural area around Tamaulipas in a house with no running water. These brillant social engineers are asking themselves if poverty should prevent parenting. Sparta family court is supposed to render a sentence tomorrow. Too late to suggest to social workers there how they would feel if, after venturing in a foreign country, marrying somebody there, being kicked out of there without their children, they would be denied parenting on the ground that, let say, children are better off there because, you know, the North Carolina hamburger-based diet is not the healthiest for children, and children are better off be shielded from North Carolina gun violence.